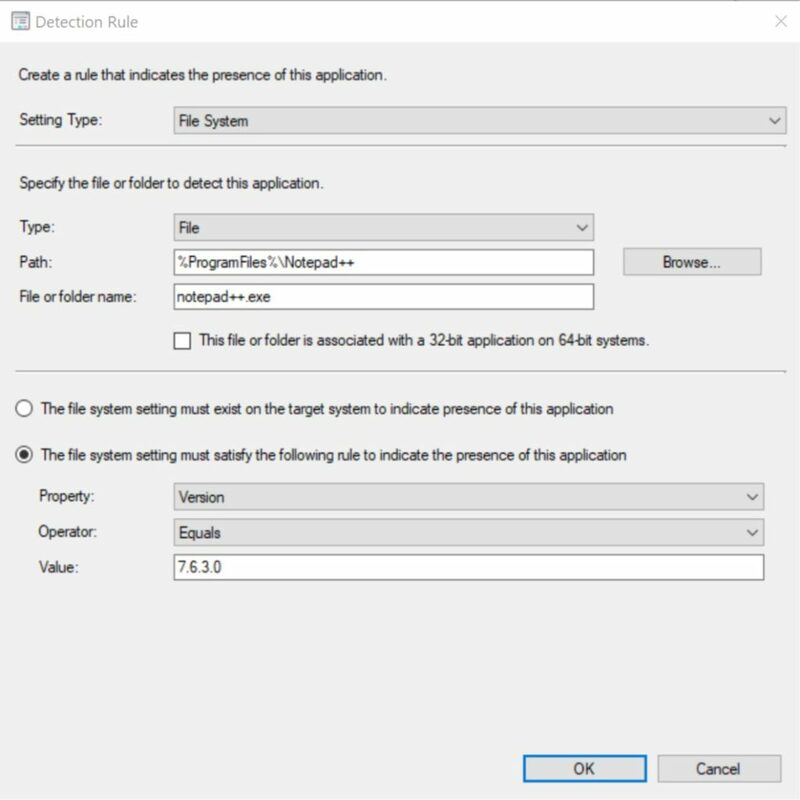 Install APP-B if the folder “C:\Program Files\APP-B_FOLDER” doesn’t exist (detection), only if APP-A is already installed (prerequisite) and it is a Windows 10 device (requirement). 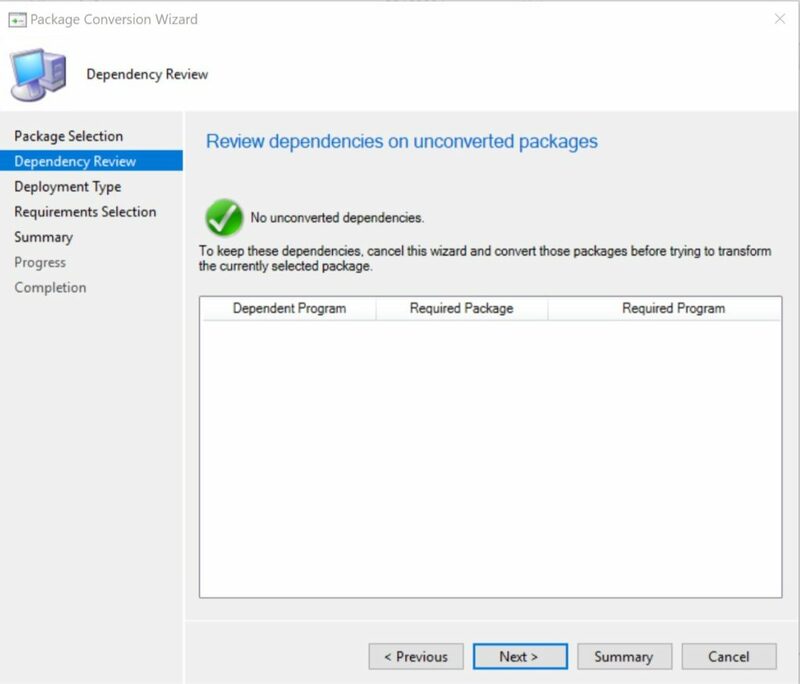 Package Conversion Manager, in its former life, was a separate tool you could download to convert legacy packages into applications. 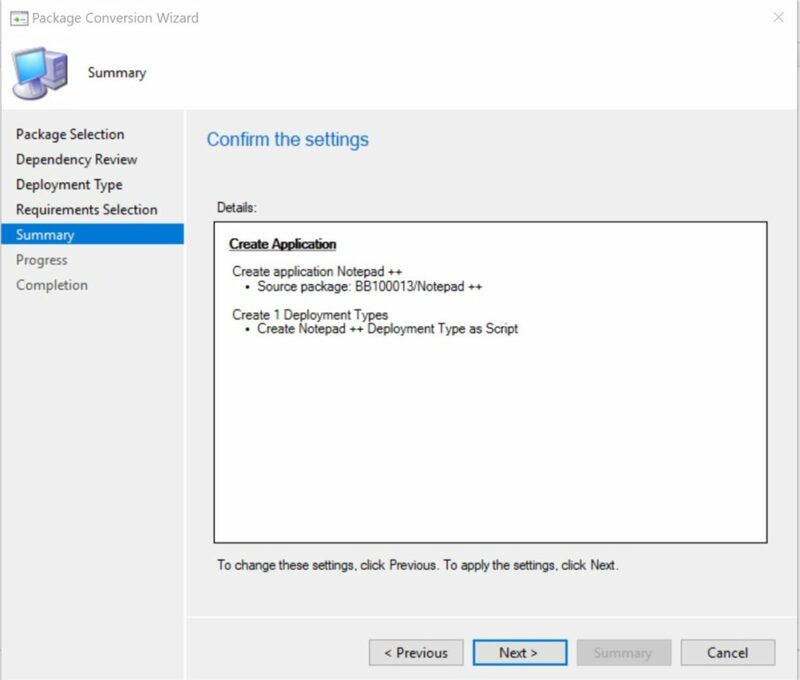 In SCCM Current Branch 1806 we saw the “Package Conversion Manager” as a pre-release feature. 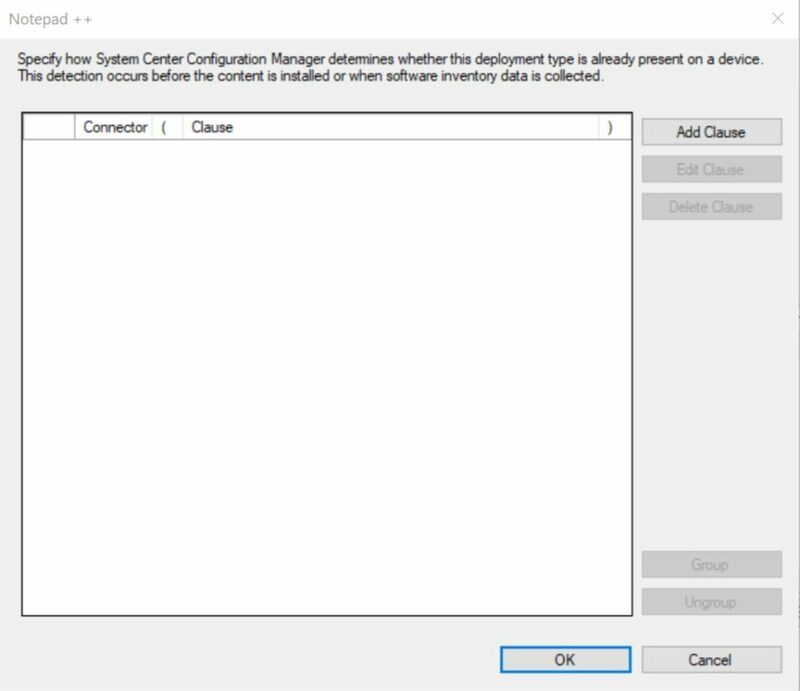 Starting in SCCM CB 1810 “Package Conversion Manager” is the full ticket, all beefed up-integrated and ready to destroy your legacy packages one by one (quote not in the official marketing material). 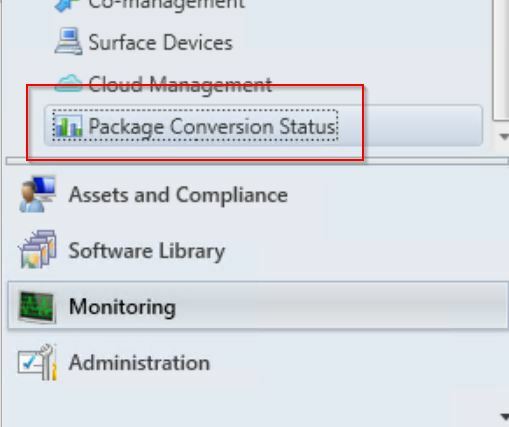 Note: Package Conversion will not delete or modify your existing packages. Upon conversion a new application will be created and the original package will remain unaffected by the process. Can all Packages be reborn as shiny applications? Not really. There are some software and scripted procedures that are just not cut out to be converted into applications. 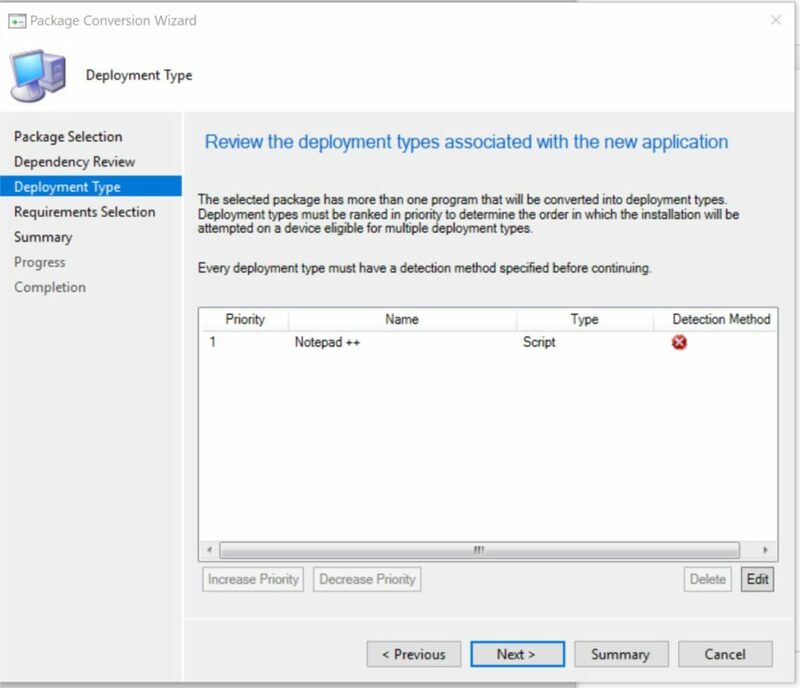 All applications must have a detection method so SCCM can see if the application already exists – this may not work for packages that are required to run on a recurring basis. That being said, I would always try and use an application first before resorting to a package – applications are just so much more versatile. Where can I find Package Conversion Manager? 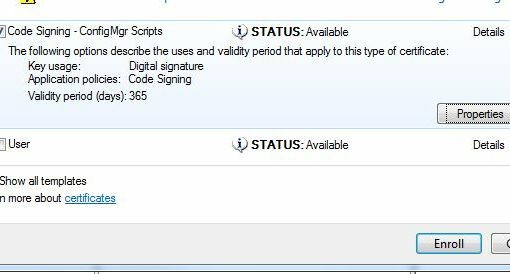 You can find the “Package Conversion Status” on the monitoring tab. This will show you an overview of the Package Conversion to date. Package Conversion Status is found on the “Monitoring” tab. 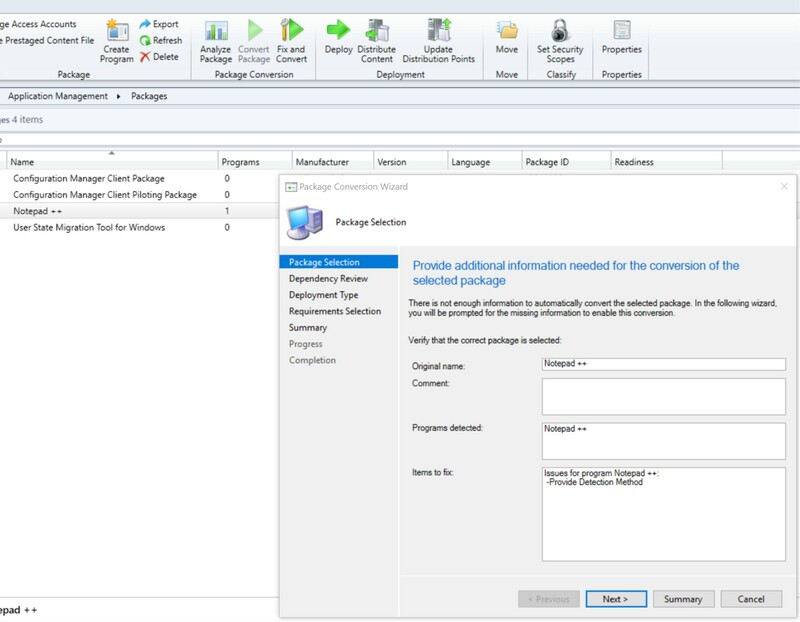 We can also find Package Conversion options in our Software Library – Packages. 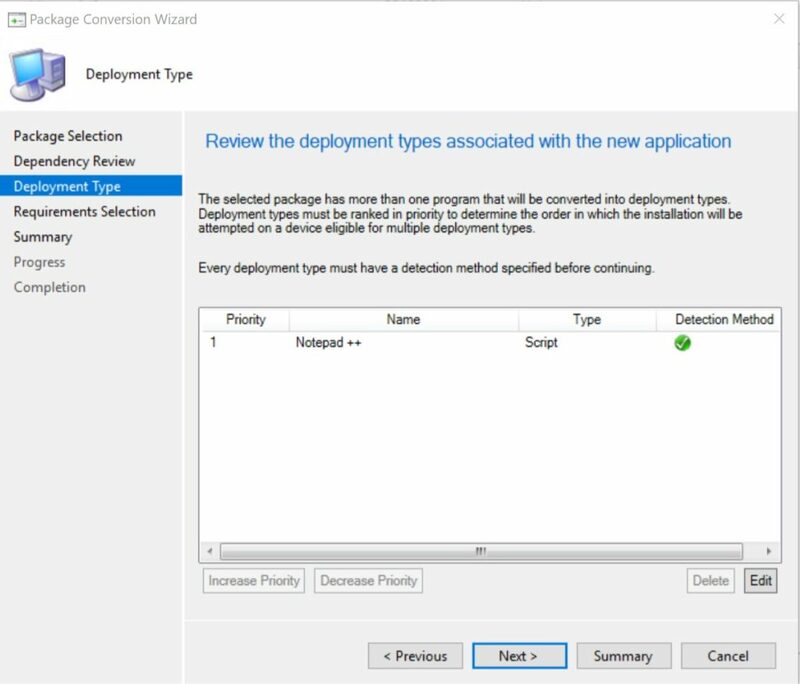 The available commands on the ribbon bar will depend on the Package Conversion Status for the selected package. 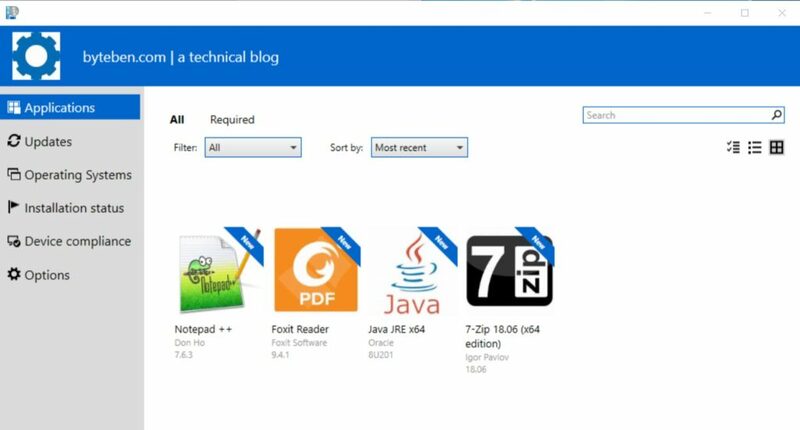 In the following package conversion example, we will take the humble Notepad++ package. Notepad ++ can and should be created as an Application in the first instance but she makes a good candidate in the lab – so lets go. 3 . Once package analysis has completed, you will see the outcome of the analysis in the “Readiness” column. Automatic means we can go right ahead and convert package into an application with no manual intervention. Manual means we gotta tweak some stuff ourselves (see below). Error just means your trying this on a Monday morning with no coffee. Lets take our humble Notepad++ package. She is just a few steps away from being given a set of new shiny wings. 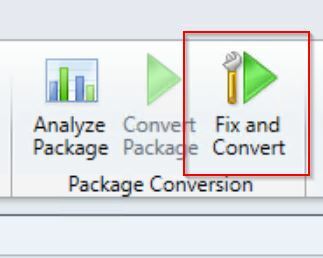 For any package that has a readiness state of “Automatic” the “Convert Package” command is available on the ribbon bar. Ours has a readiness state of “Manual” and thus the command “Fix and Convert” command is available. 1 . Highlight your package that as a readiness state of “Manual” and choose “Fix and Convert” from the ribbon. 2 . 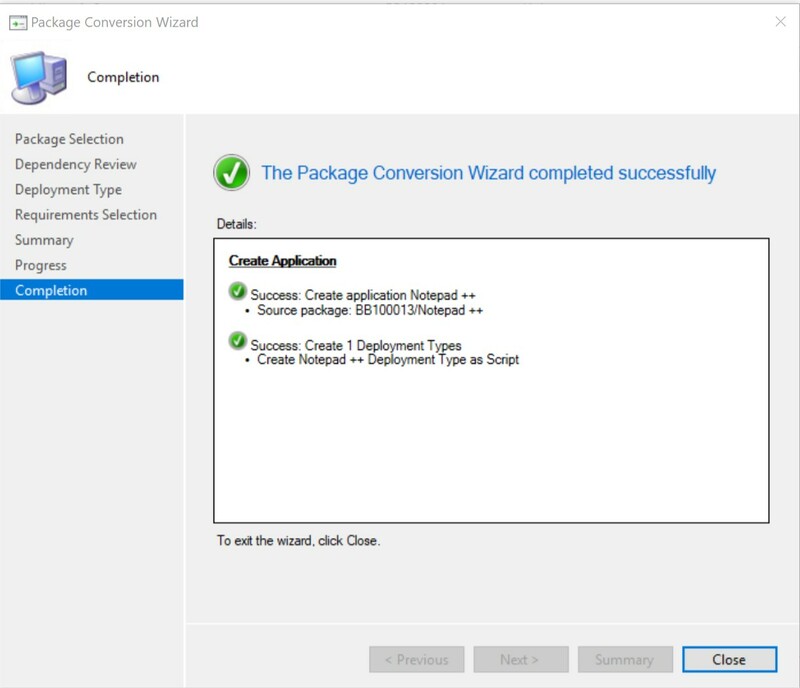 The “Package Conversion Wizard” will open. 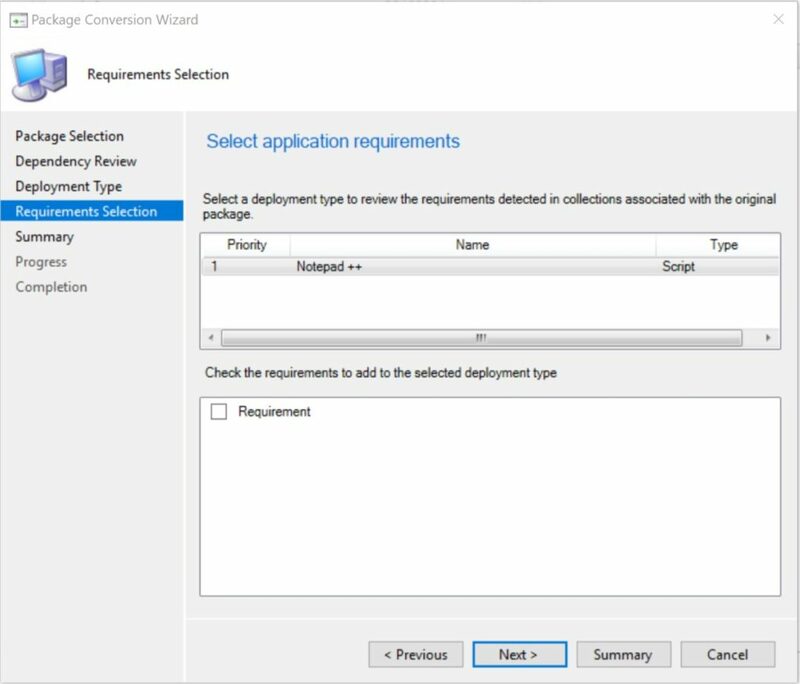 Take note of the remedial steps that are required to convert this package into an application. In our case, we need to provide a “Detection Method”. 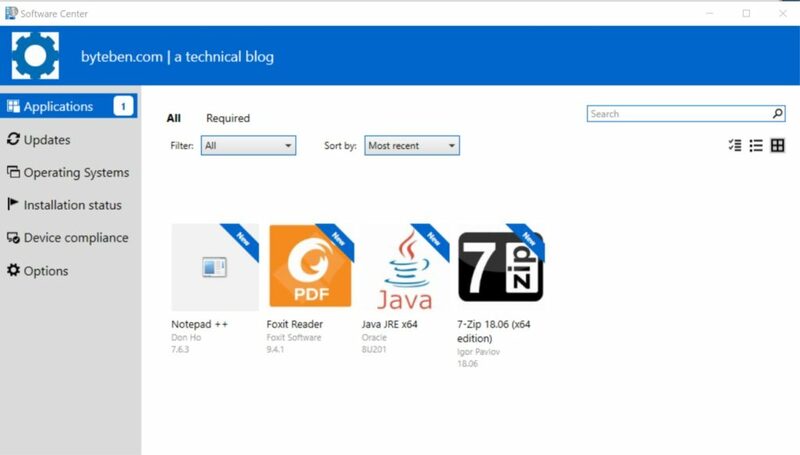 4 . Review any Dependencies (none in our example) and click “Next”. 5 . Review the Deployment. 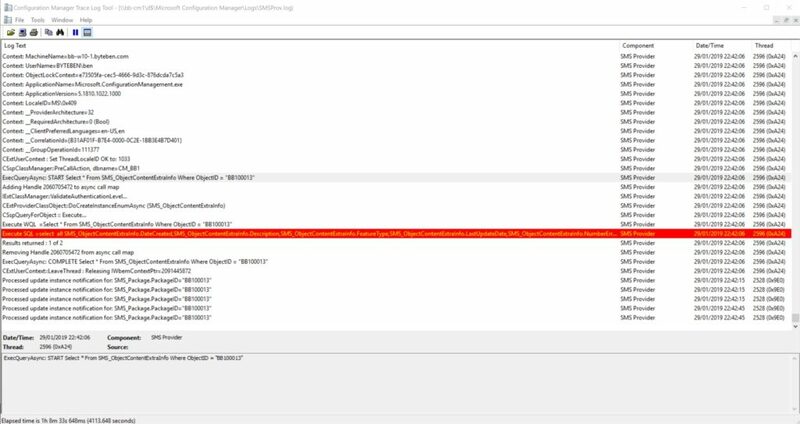 In our example we can see that an application detection method is required. 6 . We cannot proceed with “Next” until this item is resolved. Highlight the row and click “Edit”. For our example package, our application detection method will be “File Version is equal to x”. 7 . Click “Add Clause”. 8 . Fill in the Detection Rule logic and click “Ok”. Now we have fulfilled the earlier requirement to provide an app detection method, our previous red icon with a cross should be replaced with a green icon with a tick. 13 . Click “Close” – job done! I really like this feature. We are trying to get our customers to try and self service before they call or email the Service Desk. The better we can make that experience in the Software Centre the more time we get to play with Technical Previews and eat chicken wings. 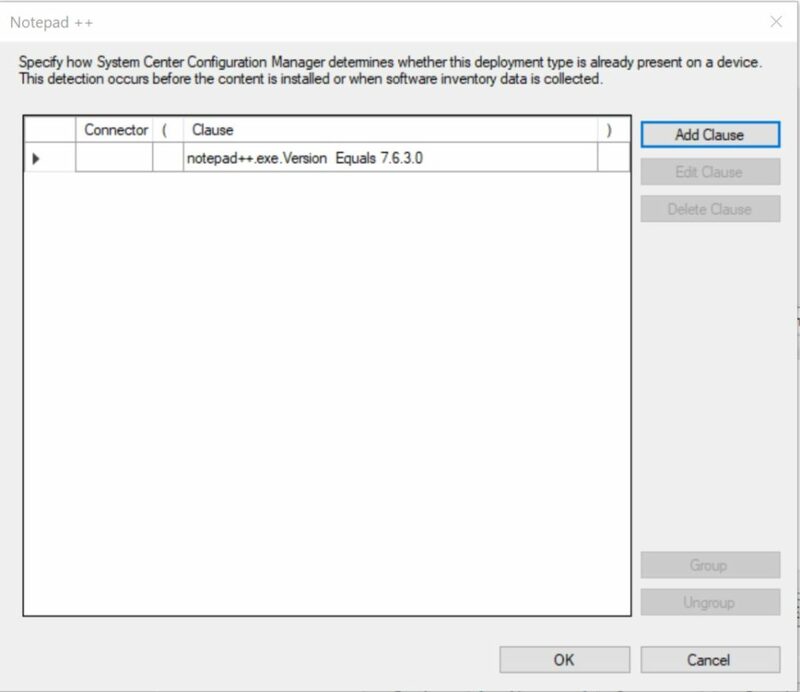 Package Conversion Manager and the Application Approval process in 1810 are great new features that keep moving us ever closer to never having to manually intervene in any application delivery scenario.